The Gordian Quest is a card based rogue-lite RPG adventure where you lead a party of heroes on a quest to destroy the root of the evil that’s destroying your world. Currently in development by Mixed Realms (creators of Sairento VR), The Gordian Quest sees you forming a band of heroes and going on procedurally generated adventures to purge the evil from your land. There are a variety of unique character classes that you can recruit (including knights, sorcerers, pathfinders thieves and ninjas), each of which has their own unique skills and abilities. 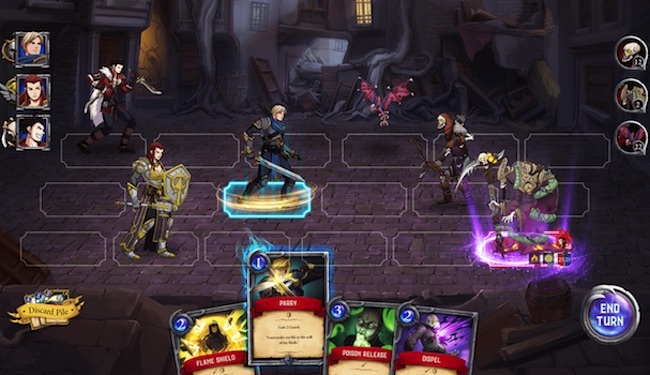 Along the way you’ll go on quests, collect powerful relics, upgrade your heroes and fight your way through legions of monsters in card based battles. There’s no gameplay footage yet, but the artwork looks great and its blend of rogue-like, RPG adventuring and card based combat could be fun. Sign up to the Alpha to see if you can play your cards right in The Gordian Quest.